Director of Community Relations Kevin Days presented a temporary housing plan at a Foggy Bottom and West End Advisory Neighborhood Commission meeting Wednesday. The University plans to house upperclassmen in a graduate student residence hall and University-owned hotel while Thurston Hall undergoes renovations. Director of Community Relations Kevin Days presented a temporary housing plan at a Foggy Bottom and West End Advisory Neighborhood Commission meeting Wednesday aiming to tackle “a loss of beds” GW will face as it upgrades its largest first-year residence hall. The University intends to move juniors and seniors into Aston Hall and One Washington Circle hotel for at most two years while the renovations are completed by fall 2022. “Even though Thurston Hall is a key first-year experience, it’s a building that’s 91 years old and needs some significant renovation,” Days said. 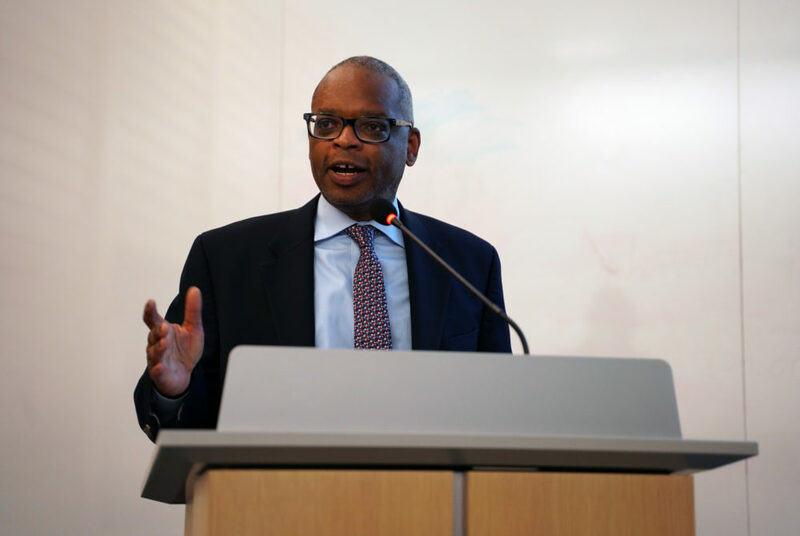 He said the necessary housing changes require officials to temporarily renegotiate the 20-year campus plan, which requires GW to house about 70 percent of full-time undergraduates on campus. “The University is committed to doing this work that minimizes the impact on community members, and this is our first step to have a conversation to keep you engaged on how that process is going,” Days said. The University announced last month that it would speed up the timeline for Thurston Hall renovations. Officials originally planned to construct a new residence hall on 20th and H streets by 2022 to house about 300 undergraduates, but those plans have been put on the backburner as administrators focus on Thurston Hall upgrades. Commissioner Jeri Epstein voiced concerns that neighbors could raise noise complaints if undergraduates are housed in off-campus buildings with older residents. Currently, undergraduates cannot be housed north of Washington Circle, where both One Washington Circle hotel and Aston Hall are located. “Think of putting 500 children in with their grandparents and their friends and guess how many complaints you get,” Epstein said. Marina Streznewski, the president of the Foggy Bottom Association, said she has been in talks with administrators about preventing potential housing issues before they arise, citing the closure of balconies at One Washington Circle as a potential compromise.